I was just replying to a comment when I realised that it is 11 years today that we moved into our house. 11 years! If you’d have told me, aged 22, that I’d still be living here at 33 I would have freaked out. It’s not so bad really. It is a lovely place. It is just far to small and doesn’t have it’s own garden. It’s funny to think, though, that I’ve spent most of my adult life here. It has never felt like living in a flat. Mainly because it is set over three floors (own front door and large entrance hall on the ground floor, living room, kitchen and loo on the first floor and two bedrooms and a bathroom on the second floor). At night, when it is really windy or raining hard, it is seriously loud in the bedrooms (part under the eaves, part crazy bit of flat roof). This would drive some people nuts (it does my Husband). I love it. Also at night, if the windows are open you can hear the sea. You can’t hear it in the day time. Floorboards – original ones! We found them the day we moved in and promptly ripped up all of the carpet. It is quirky and original. To a point of being impractical and annoying at times, but largely I love it. It was brought by a builder in the 60s who chopped it up into crazy sections and sold them off, one by one. There are some conventional flats and other weird bits like ours with their own front doors that are tall and thin. I am constantly going up and down stairs. It is like living in a lighthouse. Or a straw. It is quiet. No real noise from traffic or the madding crowds. 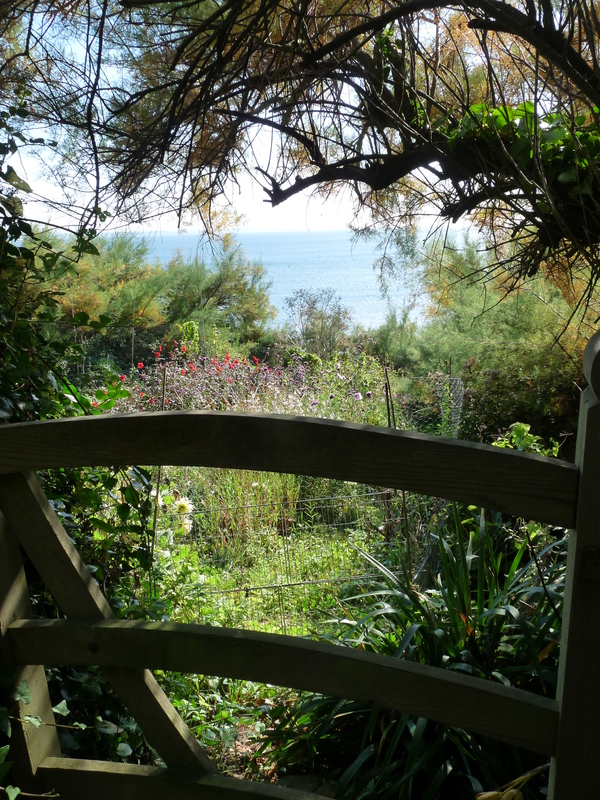 I can walk five minutes in one direction and hit the beach or five minutes in the other and be in the countryside. I can also walk five minutes and be in town. I doubt I’ll ever live in such a perfect location again. All of the flats hold the lease between us. Even so, the monthly maintenance charge is huge. More than I’ve heard of outside of places that have gyms and swimming pools. There is a garden but it is a pain to get to. A bit like going to the park. If you want to go, you have to lock up and take a bag full of stuff you might need. Plus it is overlooked by nearly all of the flats so you always feel like someone is watching you (even if they don’t mean to be doing it). Also, it is a formal garden with a gardener so no room for a veg patch or doing your own thing really. I never really feel like we’ve got a garden. I really want to be able to have a door open and be able to wander in and out of the house, the type of place where Baby can play with her friends safely when she’s older. It is so small. So small. I’m not saying I’m not grateful because I am. Baby has her own room where I know of more than one couple bringing up a baby in one bedroom flats. Even so. We’re currently debating on whether or not Baby can have a first birthday party. 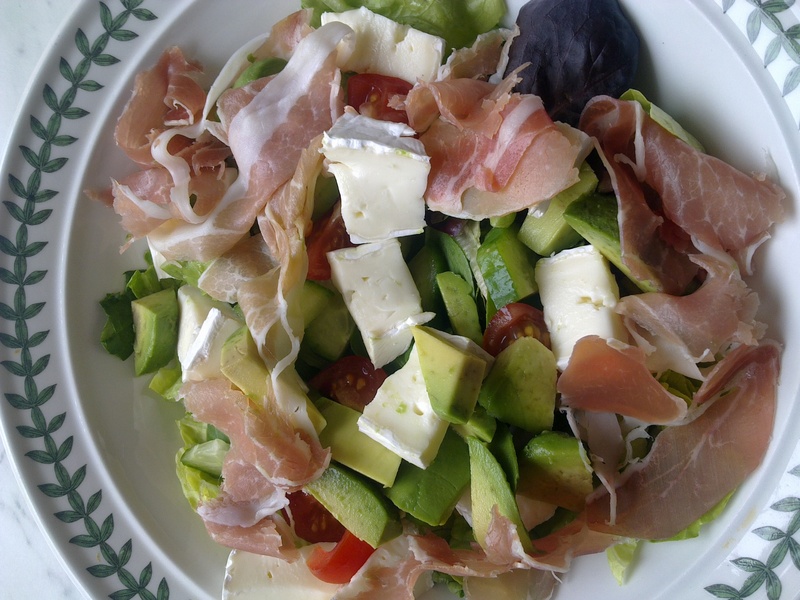 If the weather is okay we can use the garden. If it isn’t we simply can’t. We could never have another baby here. I’m not saying we’re going to, but it can’t even be considered as long as we are here. While we are desperate to get out I know I’ll be sad when we go. It has been a beautiful place to live and holds a huge amount of memories. Like sitting in my funny little room, studying away at nights to get my degree even though I was helping to run a growing business at the same time. And then changing that funny little room into a nursery and bringing my baby home. Or other daft memories like the night we wrapped my friend up using an industrial size roll of cling film. We were all laughing so hard no-one could unwrap her for ages. Oh, and why do I remember the date so well? Because it is Kylie Minogue’s birthday (Happy Birthday Kylie) who ruled my nine-year old world and the date stuck in my head! 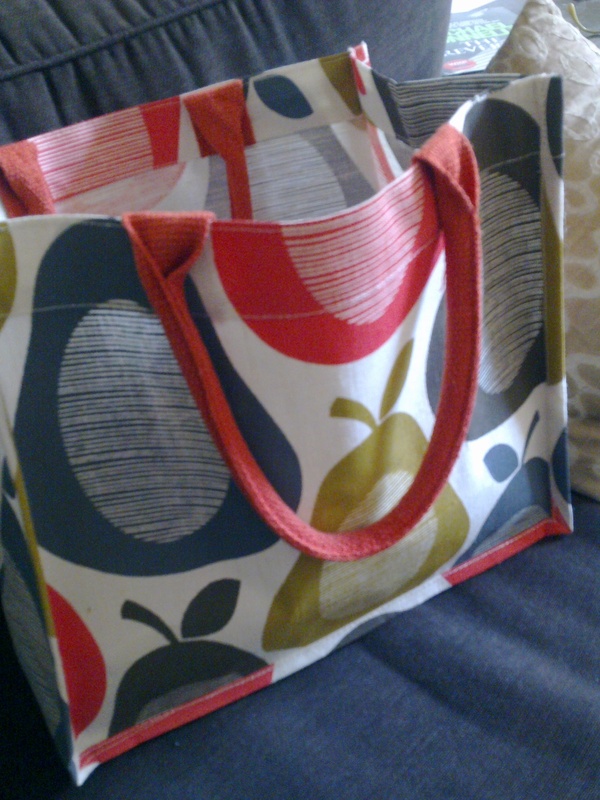 Did you know Tesco are currently selling Orla Kiely bags for £4? I read about it over at Whoops-A-Daisy but didn’t think I’d be able to get my hands on one (they are only available at selected stores), thus I was very excited to see them in my local branch a couple of weeks ago. In fact, it was all I could do to restrain myself from grabbing unsuspecting fellow customers by the collar and frog marching them down the aisle shouting ‘Look! Look!!’. Did I mention before that I like bags? Of course that was when I had £4 to spare. Remember the other day I said I only had £2.95 in my wallet? It’s gone. I bought a loaf of bread (it should have come out of the food budget but it wasn’t worth getting my debit card out over) and a couple of packets of BOGOF biscuits on my first day back in the office. I even raided my 20p piggy bank earlier so I could go out for tea and teacakes with one of my mum chums. I might need to take some money out of one of our accounts as I’m pretty sure that I don’t have enough petrol to last until pay day and I need to get to work. I’ve got two weeks to wait and just the contents of my piggy bank (probably about £2 now) to see me through. Interesting times ahead! And, yes, I am back at work. It is weird. I caught sight of myself in a mirror, fully ‘made-up’, straightened hair, suit, heels, polished nails and proper jewellery and thought…who the bloody hell are you?! Baby is currently getting up at around 5.30am. I need to be up by 6.30am to get us both ready for the day and out the door by 8am (I’ll probably get quicker as I do it more often). I had my first day working from ‘home’ (actually not working from my home but that of my parents) today. It is going to take a couple of weeks before it all settles down and we get a decent routine on the go. I didn’t manage to get finished up until 2pm and then felt all twitchy and restless because I was still in work mode and had that feeling you get when you think you ought to be doing something but can’t tell what it is. Hence I called up a mum chum and ventured out on the aformentioned tea/teacake run just to try and draw a line in my head between work time and non-work time. It’s all a bit fuzzy at the moment but I am sure it will fall into place soon enough. As for having to leave Baby behind to go to the office…gah. I hate it. Nothing to do with work or colleagues or the job. I just hate not being with her. My strategy for dealing with it is to get my head down and work like a lunatic so I don’t have chance to think about it. And that’s it for now. No working tomorrow but no money either! I lie. There’s probably about 16p change left in my wallet. How much does a Wham bar cost these days? Husband has had a few days off which has been great as it has felt like a little holiday for me too (which is particularly nice as I’m going back to work in a few weeks time). We’ve managed a sneaky trip to the ‘big’ shops where we got Baby a couple of sun hats and a pair of sunglasses (using a Boots half price voucher) as well as some other bits and bobs. I also managed to bag a few skincare bargains but I’ll post about that soon. Yesterday we actually – finally – got around to doing a bit of DIY. Mum and Dad looked after Baby while Husband painted the hallway and I painted the bathroom. I didn’t have a small enough brush to get in a few corners but finishing up will only take five minutes once we get a brush. Good to have a couple of things crossed off the list! Today the lure of the beautiful weather was too strong (as was the holidayish feeling) so we decided to have a proper day ‘out’ and went to the Aquarium in Plymouth. It is a lot further away than we would usually go for a day out but it was so good to have a change of scenery. I was also very impressed that, if I understood correctly, for the price of todays admission we can go back for free anytime we like over the next 12 months (as many times as we like) for free! We’ll definitely be going back as Baby LOVED it. Hence I’ve been a bit quiet – it’s been a busy few days! I’ve also got another cold coming. We’ve been plagued by them for the last couple of months. Everytime we go to any of the playgroups we come back with a cold. So we stay at home until it has gone (so we don’t spread it around) and then back we go and get another one. Vicks First Defence has been doing a great job for me but sadly Baby can’t have it and has to tough it out each time with just a bit of Calpol. She has only just got rid of a really awful cough so I really hope the sneezes this morning were unrelated to the sore throat I’ve now got (I know, sounds like wishful thinking). I know you can’t sit indoors all day but I do wish people wouldn’t keep bringing their ill babies to these groups and letting them stuff all of the toys in their mouths while clearly drowning in snot. Is this completely unrealistic? I have literally never had so many colds in my life. Ever. I’m not going to stop going to our favourite groups because I think it is really important for Baby to hang out with babies/toddlers of her own age and get to do different things. Plus she obviously loves it – particularly if there is singing and maybe a shaker involved. So I guess we’ll just have a to get on with it and stock up on tissues! 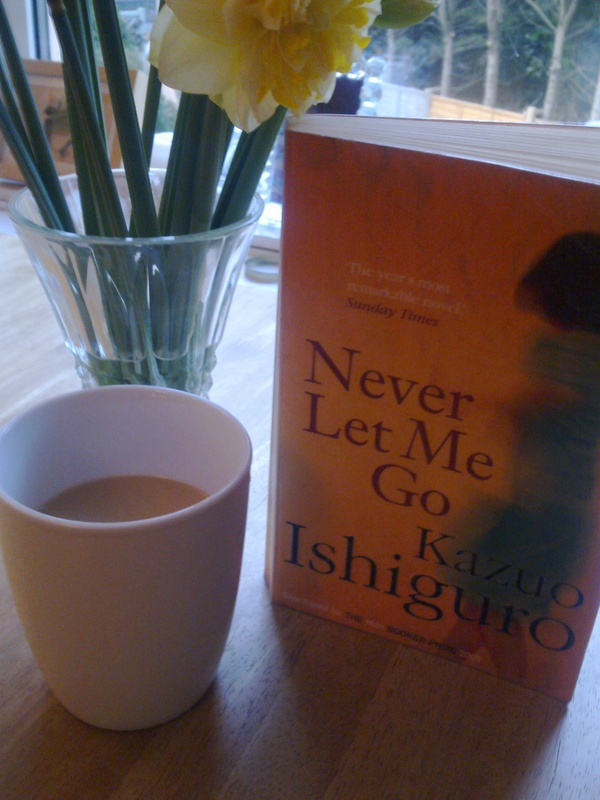 …Never Let Me Go by Kazuo Ishiguro, which I could barely put down from the moment I started reading it. Then I moved on to My Last Duchess by Daisy Goodwin which I was similarly gripped by. Both of these were books I had ordered through the library and I had almost forgotten about. It’s rare to read two completely different books in a row that I’ve enjoyed so much. As ever, any further book recommendations will be gratefully received!